MCM London Comic Con has now concluded and Anime Limited have continued their last batch of new announcements as well as a second panel. Here’s a round-up of all of the titles revealed for the third day of the weekend. Let’s start off with the panel news (outside of the license reveal). The upcoming release of Eden of the East will be slightly delayed for a good reason! They will now include the King of Eden and Paradise Lost movies, so the release will nearly match Funimation’s premium edition that came out earlier in the year. For those who attended MCM this weekend will have noticed the sets have a space to include the movies, so the plan is that they will need to contact Anime Limited via E-Mail and receive the films for free at a later point. Next up the Evangelion: 1.11 film is aimed to try and ‘Rebuild’ the franchise for the UK market in an effort to try and acquire the original TV series once all four films in the Rebuild of Evangelion are released. As noted yesterday, the film will be given a collector’s treatment. Now for the five announcements of the day. The first one is for Funimation UK’s distribution with Tenchi Muyo! GXP. The 2002 TV series will be released with English & Japanese audio with English subtitles on DVD sometime in 2017. You can watch all of the episodes on Funimation Now. 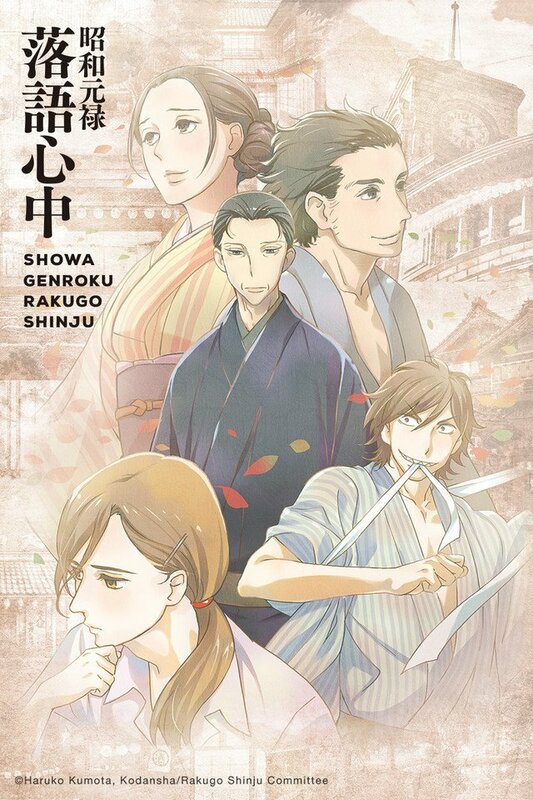 The second announcement comes from Crunchyroll with the Winter 2016 studio DEEN show Showa Genroku Rakugo Shinju. The show currently has no English audio in the works but it’ll be coming to the UK sometime in 2017. In the meantime you can watch the first season (with the second season airing next year) over on Crunchyroll. The third announcement was revealed during their 1:30pm panel. 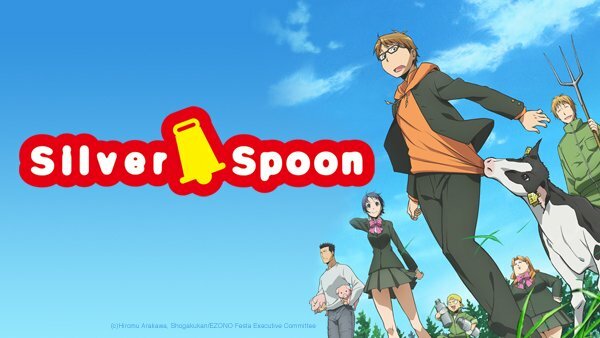 To the surprise of many, Anime Limited acquired the Aniplex series Silver Spoon (Gin no Saji) for UK release. The show has been released by Aniplex of America with a 2 DVD collection sets and while formats are currently unknown for the UK, it will be released in Japanese audio with English subtitles only. You can check out the show on Crunchyroll. The fourth announcement is also another surprise, as the series has been handled by Pony Canyon in North America. 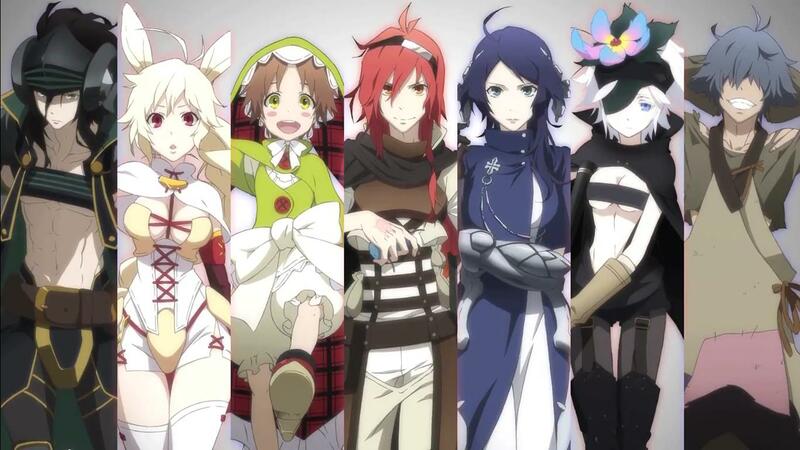 Rokka -Braves of the Six Flowers- (Rokka no Yuusha) will be coming to the UK! The formats are also unknown and unless anything changes it will be released in Japanese audio with English subtitles only. It’s also worth noting that the sub-license was handled by Crunchyroll this time around. You can check out the series on Crunchyroll. And the fifth and final announcement is for Funimation UK’s distribution with the Winter 2016 show Dagashi Kashi. The show will be released in the UK on Blu-ray and DVD in English & Japanese audio with English subtitles. You can check out the show on Funimation Now in both languages. And that’s a wrap. It’s been an interesting weekend of announcements and it looks like 2017 will be another great year for UK anime distribution. In total we have 16 Anime Limited (+ Crunchyroll & Funimation sub-licenses) titles, 7 Manga Animatsu titles, and 2 MVM titles. The second day of MCM London Comic Con has ended and both Manga Animatsu and MVM Entertainment have stepped in to reveal more new additions to their catalogue alongside Anime Limited. Here’s a round-up of all of the titles revealed for the second day of the weekend. Napping Princess is an entertaining, family-friendly offering that only loses its way due to an unfortunate case of trying to do too much. If you can overlook this, then you’re in for a great time. More titles have been confirmed to no longer see a home video release for the UK & Ireland. 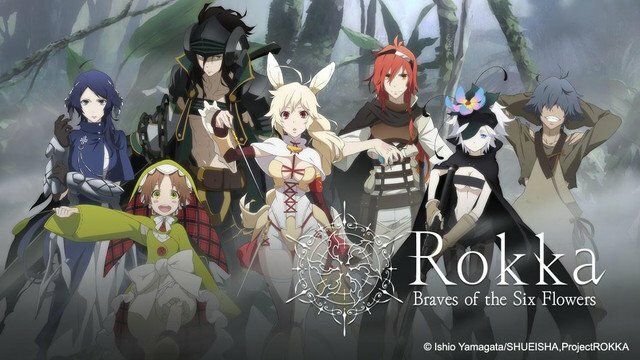 Anime Limited have plans to bring a number of titles including Castlevania, Re:ZERO Part 2, Silver Spoon and more during their second quarter slate.